For those of you with a more traditional sense of style, look no further than the Margaret bed frame. 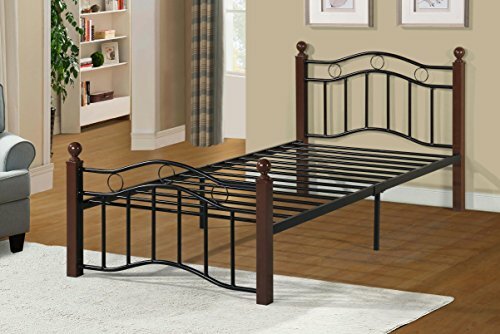 With antiqued rod iron metalwork accented by metal bedposts, this bed is the epitome of shabby chic décor. Get ready to get a delicious night’s sleep wrapped in your grandmother’s favorite quilt. Platform bed construction eliminates the need for a box spring. Available in Twin and full.